Welcome to the fireside of an Irish home where Sean O'Connor, in faraway Japan, recreates the magical atmosphere of Irish songs and music as played and sung in his native Ireland. Deirdre Scanlan (Solas 1999 - 2008) makes a guest appearance. Sean O'Connor is a traditional Irish singer and musician who plays Irish style guitar, bodhran, Irish whistles, spoons and bones. Deirdre Scanlan of the internationally acclaimed Solas (1999 to 2008) makes a guest appearance on his 'By the Firelight' album singing one of her original sons: From The Grave. Sean began singing and playing music as a child when growing up in Tipperary and Dublin, Ireland. He has toured throughout Europe and especially enjoyed tours of France with his childhood friend, Irish fiddle virtuoso, Gerry Carter. Sean plays on Gerry’s ‘Out of Dublin’ album, recorded in London, 2000. During the 1980s, alongside playing with many Dublin based bands Sean set up a sound engineering company which quickly became the second largest company of its kind in Ireland at the time. In doing so he developed his interests in the technicalities of music production. He worked with wide variety of artists including American country legends Billie Jo Spears and Johnny Cash. Sean moved to Japan in late 2008 where he now lives in an old traditional Japanese farm house in a rural village and has built a recording studio in one of the old farm buildings that surround his house. He has been warmly received by audience throughout Japan and has played for the Irish Ambassador in Tokyo. Sean brings both foreign and local Japanese musicians together to perform Irish music and songs. Freed Records, an independent Japanese record label, have released Sean’s first album in Japan and have commissioned him to produce albums for their artists starting with a new album by Japanese electronic musician Shin Takai. 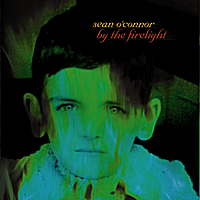 By the Firelight is Sean's first album recorded in Japan and features a guest appearance by Deirdre Scanlan who sang with the internationally acclaimed Solas for nine years. Sean sings both old and contemporary Irish songs on By the Firelight and some traditional Irish music (reels and jigs). Glad we still have real musicians !